Croydon Council has long been innovative in its approach to services. With cumulative impacts of historic and recent reforms, rapid house price and rent increases, they’ve seen a gradual increase in the need for services and, more worryingly, an increase in demand for homelessness prevention services. When we started working with Croydon Council two years ago their strategy was clear: this wasn’t just about reacting to the changes that were taking place, this was about proactivity, prevention and a belief that engaging with residents earlier would not just prop these households up to see them through a difficult time, but would help to ensure they thrived in the future. 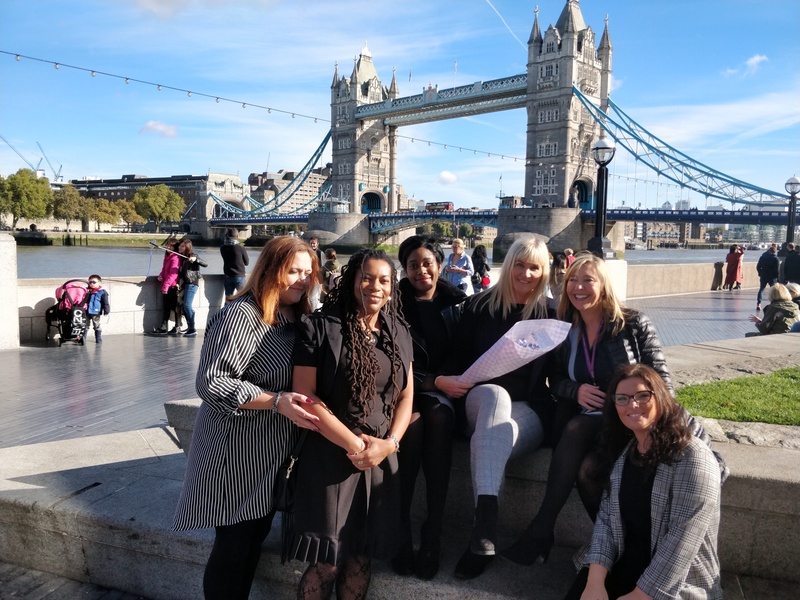 Croydon Council built a new model of delivery, providing an holistic early intervention and prevention approach, to help residents become resilient. They’ve evolved that model across other councils and now outwardly in their communications. As the team prepares to pitch their work to the judges of this year’s LGC Awards, they’re shortlisted in the Business Transformation category for this work, Jade Alsop goes behind the scenes of one of the leading developments in the Gateway approach. We developed our Low Income Family Tracker Dashboard in partnership with Croydon to drive their ambition to adopt an earlier intervention and prevention approach. Our analytics allowed Croydon to target support to the right households, identify poverty trends across the council and track the effectiveness of the support in place, in order to drive a ‘best practice’ approach across multiple departments. As this approach evolves, data is a key driver to identify and target our approach. Data also enables linking up with Croydon’s Early Help services for children and families to avoid crisis situation, and adult social care services for vulnerable adults, to work together to improve outcomes. When Policy in Practice was approached to sponsor Croydon Council’s entry into the Innovation of the Year category at the UKHA Inside Housing 2018 awards we were delighted. The award entry was for the creation and success of the New Addington/Fieldway Family Centre Food Stop. Analysis provided by Policy in Practice had started this team off on its journey to thinking about where and what support they needed to target, and the development of the Community Connect/Food Stop initiative is one of the innovative approaches they took. 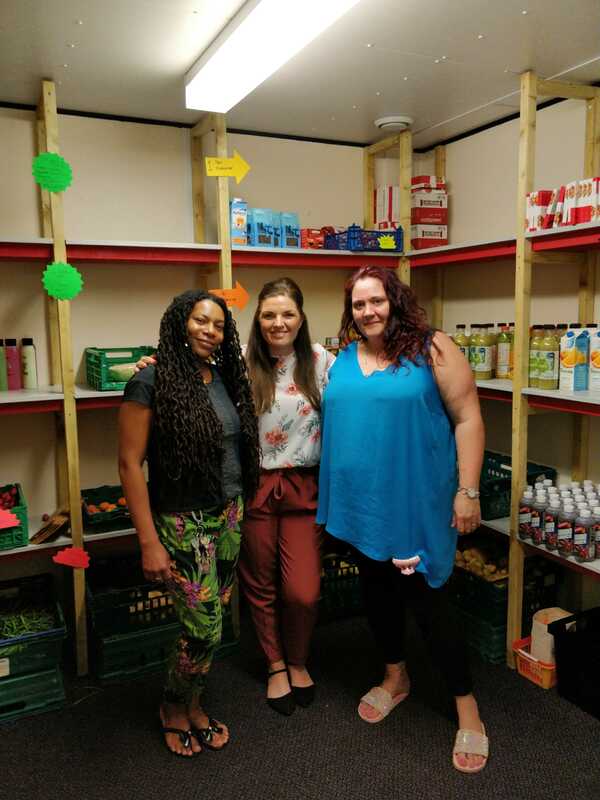 Community Connect/Food Stop, based at the Family Centre in Fieldway, is a community-led, multi-agency model that ensures residents are financially stable, able to better manage their money and maximise their income through personal budgeting support, debt management, landlord liaison and by gaining employment. Alongside the Community Connect services such as job club, health, well-being, benefits advice and personal budgeting support, the Food Stop shop offers local people the opportunity to reduce their food shopping bills by paying £3.50 a week for around £15-£20 worth of grocery shopping, the annual difference made is between £590-800 p.w. At the awards evening I had the pleasure of meeting the team that had been working so hard to get the Food Stop from concept to reality, and it was very rewarding to hear about the success cases they had seen over the duration of the programme. While Policy in Practice works very closely with local authorities and understands the improvements that take place, we don’t always get to see this first hand. I asked if I could visit the Food Stop, experience what it had to offer and meet the people it supports. When I arrived, just after 10am on a Thursday morning, I was greeted cheerily at the door by members of the team before receiving a tour around the building, a hive of activity. I saw some of the local community taking part in a keep fit class, others waiting to be seen by the housing team, a bunch of people in the café having conversations across the tables and with the staff behind the counter. What was immediately evident to me was the community spirit – local people engaging with each other, everyone on first name terms. They had nothing but praise for the team of people working there, a stark contrast to the oft-heard theme of how difficult it can be to engage with residents when the council is seen as the ‘enemy’ and the reason for recent hardships. I mentioned this to Anita, the Community Resources Delivery Manager, who was honest that this was not always the case. Since then, Anita said, building relationships and getting people into the centre is through word of mouth. Instead of hiding their letters in the drawer, residents now bring them to the centre and ask for help to understand the letter they ‘couldn’t bear to open’. The lack of response to outreach letters is something I often hear from local authorities. With many councils wanting to achieve a prevention model, rethinking traditional methods of communication will be critical to their success. Official looking, untailored letters just won’t work. After chatting to many people I had a look at the very welcoming crèche for parents wanting to use the facilities like employment support or housing options discussions, difficult to achieve with children present. Their children were happily playing while parents had that dedicated time to work one-on-one with the centre’s team, a simple but effective idea to remove yet another barrier to meaningful engagement. I finally went through to the shop itself – quite a small room, but generously stocked with a huge variety of items from cereal to shampoo, fruit and veg to polenta, mainly provided through FareShare(Link) and surplus food from local supermarkets. 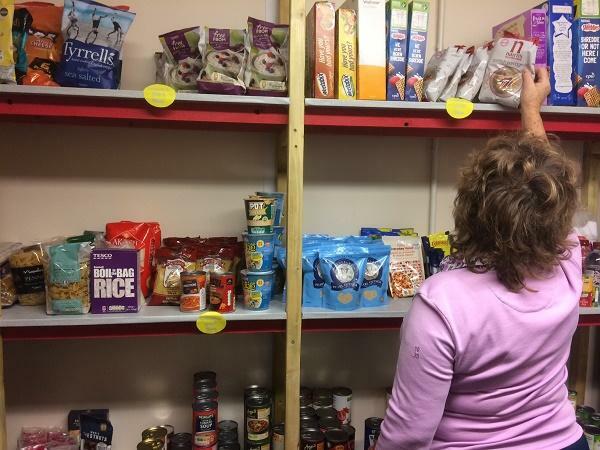 Julie talked me through the process: The shelves are colour coded and customers can take a certain number of items from each section, making sure they have a selection of foods and products for just £3.50 (see breakdown here). Croydon’s Food Stop shop gives local people the chance to reduce their food shopping bills by paying £3.50 a week for £15-£20 worth of groceries. I had a fantastic time serving customers, introducing some to foods like butternut squash that they hadn’t seen before, let alone cooked, and we discussed different ways you can cook it and what other foods on the shelves they could cook it with. It was great to meet lots of people who were willing to try something new and have the courage to experiment; they left energsied to try some new recipes that day. I was conscious that, to some this may seem a small or insignificant step yet, for others just walking through the Food Stop doors and engaging with the team there was a big step to take. Whilst it was enlightening to see Food Shop in action, I was also keen to hear about the success stories that inspire the team in their challenging frontline jobs helping people in difficult circumstances. Situation: Gemma was affected by the benefit cap, resulting in a shortfall of £91.63 per week. As a result she accumulated rent arrears. Gemma has three children and the youngest child (age 4) was undergoing behavioural assessments. Gemma’s landlady served a Section 21 notice to quit her home due to the rent arrears. Action: Gemma worked with a Community Connect advisor and an action plan was created which involved a financial assessment (including looking at any debts as well as benefit entitlements). A discussion was also had about potentially looking to move to cheaper accommodation. Gemma’s Community Connect advisor helped her to apply for Disability Living Allowance (DLA) and also a Discretionary Housing Payment (DHP) to try and get the rent arrears covered, while at the same time supporting her with her accommodation search to keep all options open. Result: Gemma’s DLA claim was approved as was her DHP application. After paying off the rent arrears and explaining her situation, Gemma’s landlady agreed to allow her to stay because she was back on track and able to pay the rent. Gemma fully engaged throughout the journey until DLA was awarded and was relieved to be able to remain at her address. Situation: Kelly was affected by the benefit cap from November 2016. She then moved to Universal Credit and as a result began to accumulate rent arrears. Community Connect advisors engaged with Kelly when Community Connect was launched in January 2017. Kelly’s landlady served a section 21 to quit her home due to her rent arrears. Action: After working with Kelly and looking at her overall situation, the solution was to help her find work and, via Community Connect, she received support with putting together a CV. Kelly was in regular contact with her Community Connect advisor about her job search, attended the Community Connect job club and a plan of action relating to her rent arrears was agreed. Result: With support from Community Connect, Kelly found part-time work in a local school. Kelly’s Community Connect advisor helped her apply for a Discretionary Housing Payment (DHP) to cover her rent arrears of £1,360. This was successful. Kelly was advised to pay £58.60 per month, which she agreed to do as she was now in part-time work and in receipt of Working Tax Credits, so this amount was manageable for her. Kelly’s now back on track, remains in her home and is very happy. “I am out on probation. I needed help with living arrangements and finding work. I am living in a hostel, but am looking to rent my own place soon. They [Community Connect advisors] told me I can get help with the move and help purchasing the essentials. They also supported me to develop a CV, which they sent to Croydon Works. I got an interview, which was successful and I am now employed. At the end of my visit I reflected on what I had learned about the services offered. It was immediately clear to me that Croydon’s Community Connect/Food Stop isn’t just about a shop that provides food, free cooking classes or a fitness club. What Croydon has built is a lifeline, a community spirit, where support is offered not just from staff, but also from one resident to another. What was also evident is that, for some, the hub is the start of a journey towards acknowledging and improving their own circumstances and leading the way for a better future for themselves and their family. While just over a third of people see a slight improvement to their circumstances through the benefit cap changes if they take up a job or increase their hours worked, Policy in Practice’s analysis shows that 1 in 7 low-income Londoners can’t make ends meet. Our analysis of 550,000 low-income London households finds a 21% rise in low-income Londoners facing a cash shortfall since 2016. The number of families who are struggling is expected to triple by 2020. Community Connect is providing inspiration for others in the sector. Other boroughs have approached us interested in replicating our model. We are sharing best practice, contacts, information and inviting others to see Community Connect/Food Stop in action. I fear more families will need these services, not just in Croydon but across the country, and I believe the type of preventative and support service that Croydon has built will be critical to helping people. With budgets looking tight and grants reduced, councils need to ensure they are evidencing the return on investment for such preventative services. Utilising their data is the perfect way to do just that. This is perfectly illustrated through the success of the New Addington/Fieldway Food Stop and we wish Croydon Council much further success as they look to roll out a second one in due course.